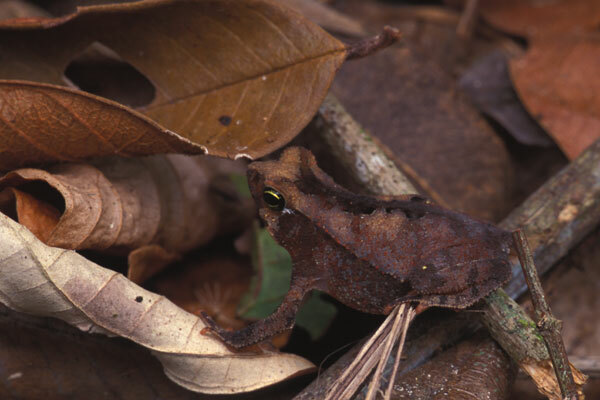 I am fascinated by animals that have evolved to hide in plain sight. Here are my favorite 10 examples that I've come across in the wild, ordered by an arbitrary combination of camouflage effectiveness and general-purpose species coolness. 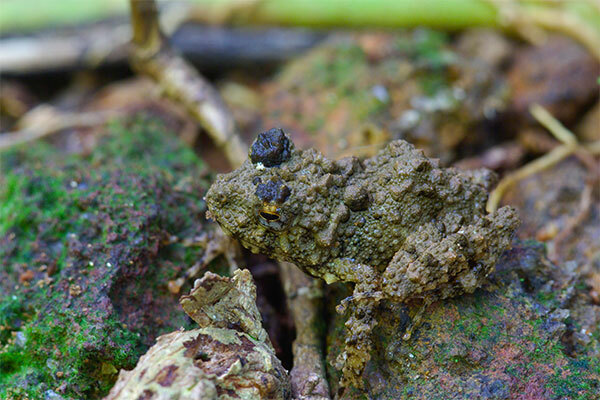 Is it a frog, or is it a blob of mud? It is definitely a blob of mud. There is no question. Oh wait, it hopped! 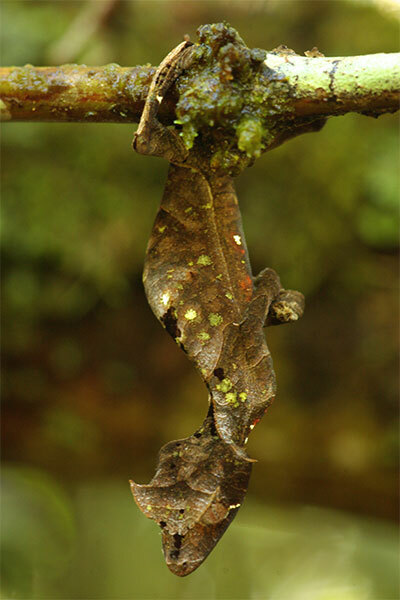 Is it a lizard, or is it a dead leaf? Look, it has veins and algae spots and little holes. It is definitely a leaf. For number 3 we move from Madagascar down to South America. 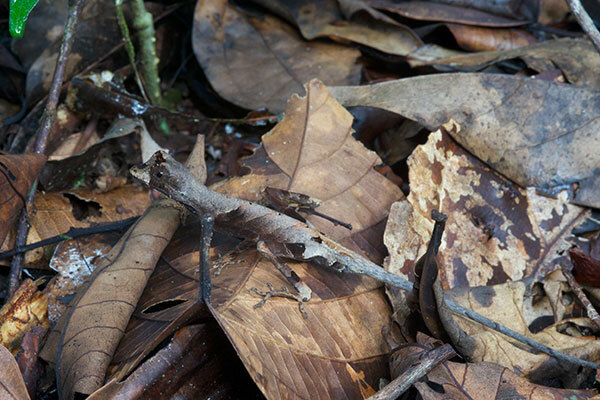 By the time I figured out whether this lizard looked more like a twig or a rolled-up dead leaf, it ran away. Good strategy. And back to Madagascar we go. 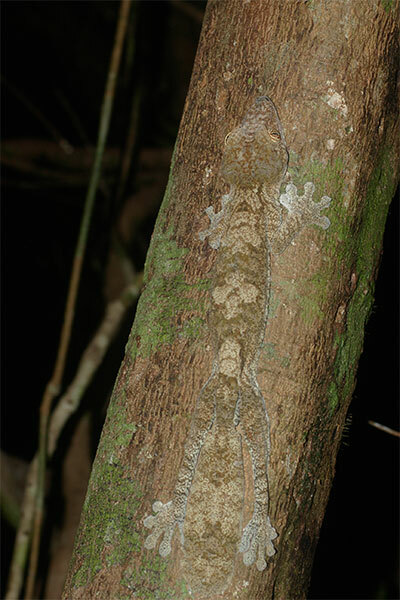 These large geckos not only have patterns that closely match the tree trunks on which they flatten themselves when not out hunting, they also have fringes of skin around their outlines to better avoid casting a shadow. Every time I look at this photo I have to stare for awhile to pick out the little toad. And that's with the benefit of knowing where it is. When these rattlesnakes are out on the move, they can be quite conspicuous even if they don't shake their tails to alert you. 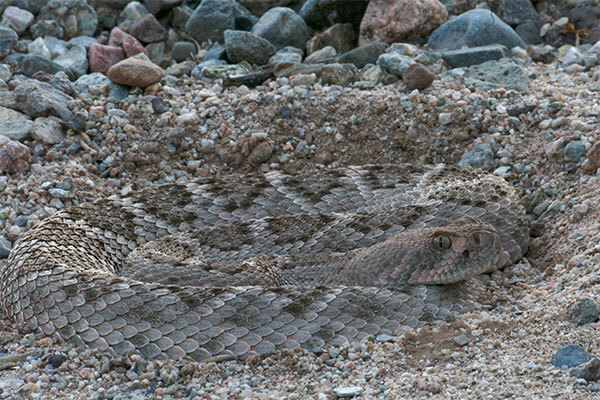 But when they are coiled on the desert floor, you'd better be looking where you step. 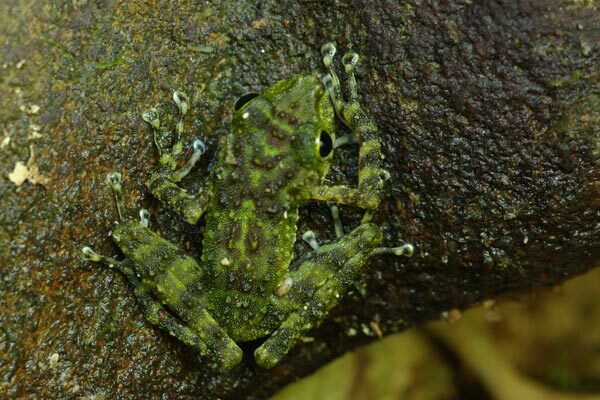 This photo doesn't do justice to this frog's camouflage, because here the frog is on a not-particularly-mossy boulder. 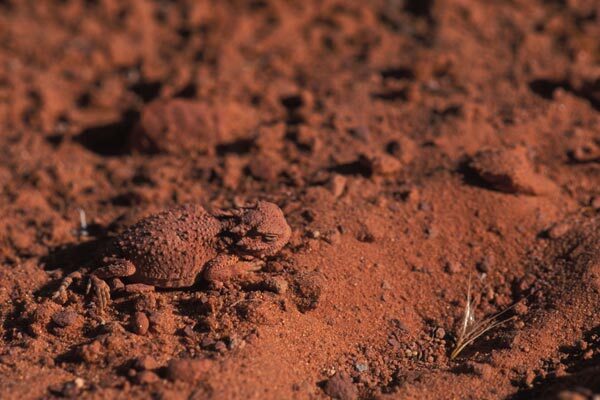 But when it hopped onto one of the mossier boulders, it became invisible. 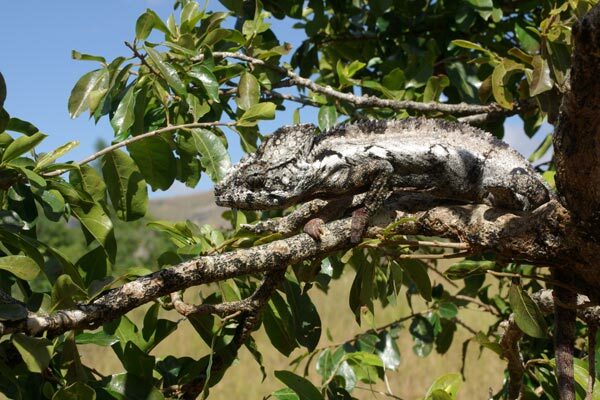 This gigantic chameleon was in a small tree, and it was the only small tree around in a dirt parking-lot-type area. But its patterns and colors matched the tree's bark so well that it was still very difficult to see. Horned lizards often match the colors and textures of the local soil or sand. This is the most extreme example of horned lizard color-matching that I've yet seen. 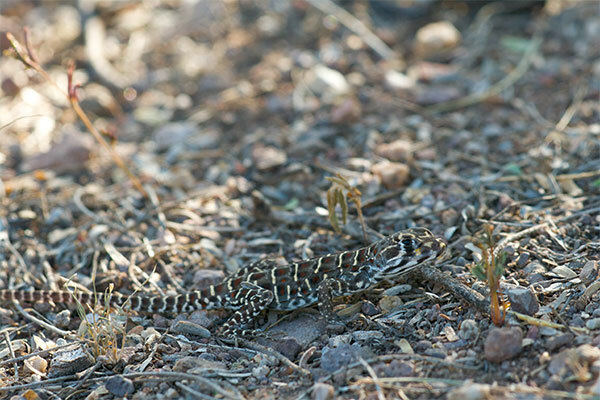 Leopard lizards are beautiful creatures, and when basking on rocks or against other plain backgrounds, they will certainly catch your eye. In the mottled shade, not so much.